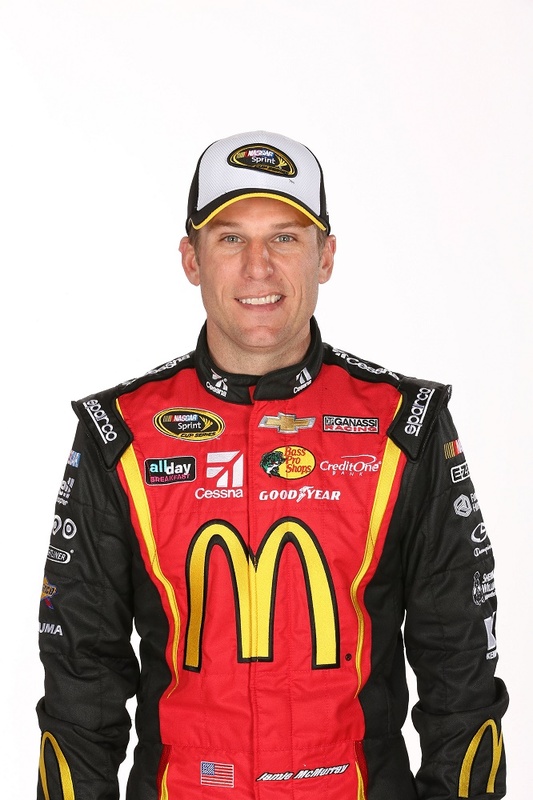 Jamie McMurray, driver of the No. 1 Chevrolet SS in the Sprint Cup Series for Chip Ganassi Racing, burst onto the Sprint Cup scene in 2002, winning his first Cup race in just his second start. Here are a few updated Fast Facts about McMurray, first published in April 2012. James Christopher McMurray was born June 3, 1976 in Joplin, Missouri. He began racing go-karts at age 8, winning the World Karting Association Championship in 1991. He worked his way through the ranks of stock cars racing, beginning in 1992 with a stint in NASCAR Late Models, then moved into the ARCA Racing Series in 1998. In 1999, McMurray entered five Craftsman Truck Series (now Camping World Truck Series) races, followed the next year with 16 starts; he earned two poles in 2000, along with three top 10 finishes. After making two starts in the Busch Series (now Xfinity Series) for Brewco Motorsports in 2000, McMurray competed full-time for the team in the series in 2001 and 2002; in 2002, McMurray won twice and finished sixth in points. He caught the eye of Chip Ganassi, who announced late in 2002 that McMurray would be driving the Texaco-Havoline Dodge in 2003. McMurray got the first starts of his Cup Series career subbing for injured Sterling Marlin late in 2002. In his second race as a substitute, at Charlotte Motor Speedway in October, McMurray scored his first win in the UAW-GM Quality 500, setting the modern-era record for fewest starts before a win (since matched by Trevor Bayne in 2011). McMurray won the Rookie of the Year title in the Cup Series in 2003 over Greg Biffle, finishing 13th in points. In 2006, McMurray joined Roush Racing, where he stayed until 2009, when he fell victim to the four-team limit being imposed by NASCAR. He wasn’t out of a ride for long, as he rejoined Ganassi at what was now Earnhardt Ganassi Racing for 2010. In his first race with his “new” team, the Daytona 500, McMurray led just two laps on his way to winning the “Great American Race.” In July of that year, McMurray won the Brickyard 400, making Ganassi the first owner to win the Daytona 500, Brickyard 400 and Indianapolis 500 in the same year (Dario Franchitti won the Indy 500 for Target-Chip Ganassi Racing in May). In 2013, McMurray won the Sprint Showdown non-points race and finished eighth in the Sprint All-Star Race, then came back to win at Talladega in October, his fourth win at a restrictor plate track. He won the All-Star Race in 2014, and in 2015, won the 24 Hours of Daytona as part of Chip Ganassi Racing, making McMurray one of three drivers to win the Daytona 500 and 24 Hours of Daytona – the others being A.J. Foyt and Mario Andretti. McMurray and his wife, the former Christy Futrell, were married in July 2009; their son Carter was born Nov. 25, 2010, and daughter Hazel was born Feb. 11, 2013. The Jamie McMurray Foundation promotes awareness of and raises funds for the research, education and support for those afflicted with autism. More information on the Foundation can be found here. 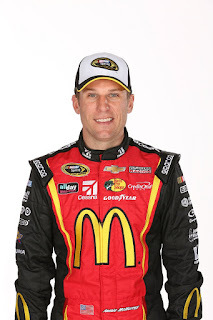 Find out more about Jamie McMurray at www.jamiemcmurray.com.